I’ve had the privilege of collaborating with so many brilliant artists over the years. The listing on this page is evolving and only a sample. Also, I tend to feature artists here with whom I’ve had deep, multiple collaborations with. They are partners in creations. An album on water with the composer Jérémie Jones from Canada and Ellom from Estonia. More news to come! A series of poems for commissioned “Character Pieces” composed for piano by Aaron Rosenberg. Project 5 a.m., created by mutimedia artist Jason Haye, is about capturing and following the essence of being in the moment. The cryptic aspects of the project reflect the Allen Ginsberg poem “Five A.m.” The poem inspired the artist as well as the mystique of people, stories and philosophies that Jason has encountered on his journey. My partner and co-founder of Sounds in Bloom, The Chagall Performance Art Collaborative, and Howl Quartet, Dennis and I have been collaborating intensely on creating poetry-music performances since 2006. This year marked saxophonist Dennis Shafer’s concerto debut in Jordan Hall with the New England String Ensemble, Federico Cortese, conducting, performing Chemins IV by Luciano Berio. The Boston Globe noted “the difficult solo part was played brilliantly by Dennis Shafer.” In 2009, Dennis Shafer released his debut solo album and promoted it in a world-tour with concerts in Paris, Bangkok, Lawai (Hawaii), and several US cities, including Boston, New York, San Francisco, Eugene (Oregon), and Lawrence, Kansas. He belongs to the internationally renowned BBCNASE contemporary saxophone ensemble directed by French saxophonist Jean-Michel Goury, which recently presented a full program at the World Saxophone Congress in Thailand. In 2008, Dennis Shafer was presented a Legacy Award by Meryl Streep from the Creativity Foundation. A native of Lawrence, Kansas, he holds a Bachelors from the Boston Conservatory and a Diplome d’Etudes Musicales from three years of study at Boulogne Conservatory in Paris, France. In Paris, Dennis worked with several great composers and saxophonists, including Francois Rosse, Etienne Rolin, Yosh’ko Seffer, Francois Coutinaud, and Rico Gubler. Parisian literary life and contemporary art laid the groundwork and inspiration for Sounds in Bloom, a poetry-music-movement-art ensemble he co-founded with poet Diana Norma Szokolyaiin 2006. Originally participating in David Barnes’ Spoken Word in Paris and featured by Parissoirees.com, Sounds in Bloom now returns regularly to Paris for performances, including at the theatre Salle Edmond Michelet at the Cite International des Arts, where Dennis was Artist in Residence in 2006. Formed out of a series of experiments in Soundpainting, each of the members of Howl Quartet alternate with soundpainting the group. We bring high intensity performance art to the stage, and the energy from this quartet really shakes the walls of any room we performed in! Rita and I have been co-directing the Cambridge Writers Workshop since 2008. We’ve led writing workshops and have read our poetry-in-dialogue in Cambridge, New York and France. We’ve found a sort of dialogue in our poems and have a number of collaborative writing projects in the works. One project is a year-long poetry writing experiment that started at the MOMA in November 2010, called The Blue Notebooks. 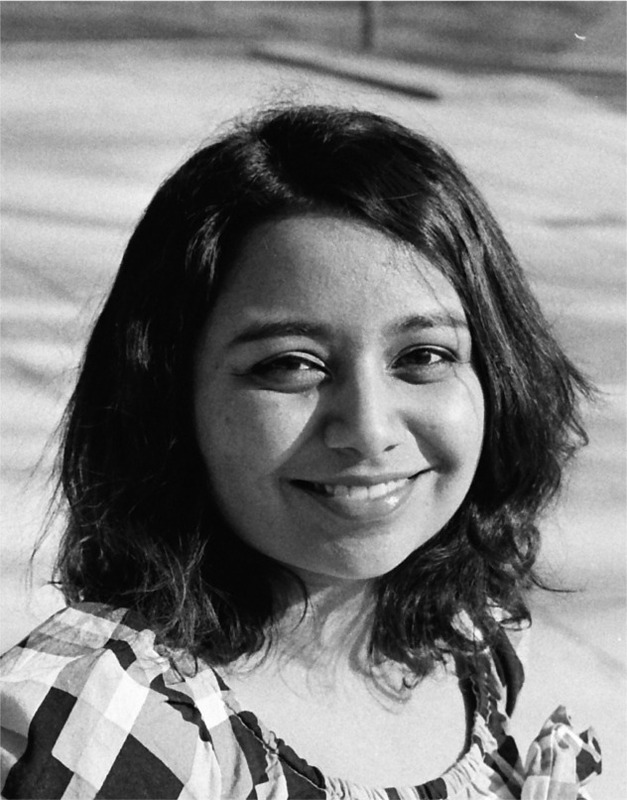 Rita Banerjee is a writer, and a PhD Candidate in the Department of Comparative Literature at Harvard University. She received her MFA in Poetry from the University of Washington, and while in Seattle, taught creative writing classes for Real Change newspaper and served as a Writer-in Residence for the Powerful Writers/Pipeline Project. She has also taught creative writing workshops to children from the red-light district in Kolkata, India through the Kalam Project. She has published her creative work in Catamaran, The Crab Creek Review, The Dudley Review, Objet d’Art, Vox Populi, and Chrysanthemum among other journals, and is a co-director of the Cambridge Writers’ Workshop in Cambridge, MA. Her first collection of poems, a chapbook entitled Cracklers at Night, will be published by Finishing Line Press in November 2010 (order here). Ellom and I started corresponding and exchanging poetry in 2007. Before a year was up, we met in Paris for a week-long poetry and music intensive residency. 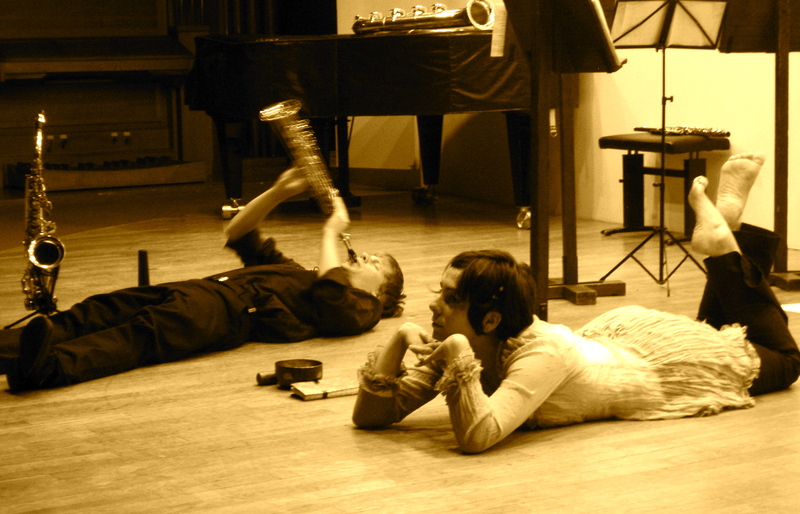 Along with saxophonist Dennis Shafer, pianist Mattias Leboucher, and violinist Elise Douyliez, we performed at the salle Edmond Michelet at the Cité Internationale des Arts in July 2008. The following year, we performed our poetry-in-dialogue in Cambridge at the New School of Music with pianist Kai Ching Chang and violinist Olga Patramanska and at the Zeitgeist Outpost with acclaimed pianist Simon Tedeschi. We found a dialogue in our poems, reflecting the essence of seasons and providing looking glasses into inner landscapes. I’ve also helped in a small way with the translation of one of her children’s coloring books, originally written in her native Estonian. We collaborated on a piece called, “Underground Rivers,” a poem of mine that was set to the magic of music for string quartet by Wesman. The single was released on his incredibly beautiful album, Astronomic Panoram, in November 2010. Wesman is from South America but currently resides in Estonia. Hi Mrs. Norma. This is Margaret and Savannah. We really like your website and we think it is very neat.